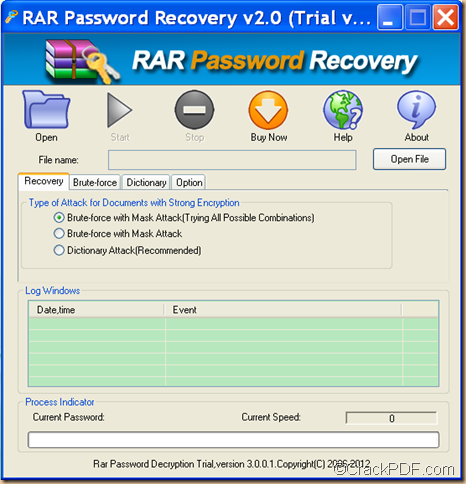 It’s easy to restore RAR/WinRAR password with the application RAR Password Recovery. RAR (Roshal Archive) is a proprietary archive file format that supports data compression, error recovery, and file spanning. RAR files are archives containing one or more compressed files. They can also be segmented into smaller chunks, which allow them to be sent in a series of emails or burned onto a series of disks. WinRAR supports the creation of recovery files, which are very handy in the event of a failing hard drive. 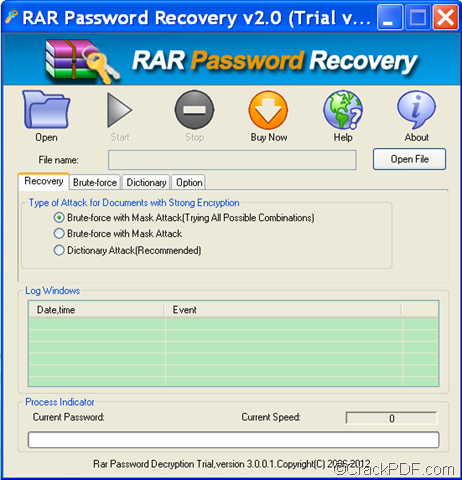 Please download RAR Password Recovery and install it on the computer. After the installation, you can see the user interface of this application. Please see it in the next snapshot. Please click the Open button in the tool bar on top of the user interface or click the Open File button beside “File name” input box to add the password protected RAR file into the application. In the “Type of Attack for Documents with Strong Encryption” group box, please choose a type of attack to recover the RAR file password according to your actual situation. 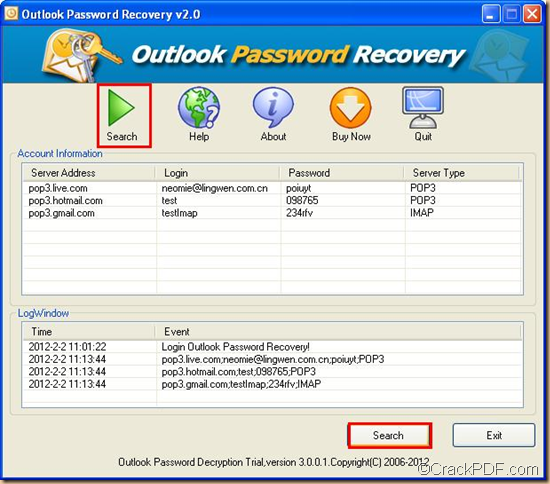 Brute-force with Mask Attack: If you can recall some information of the RAR file password, please choose this option and then click the Brute-force tab beside the “Recovery” tab. In the opened interface, you can set some parameters. Dictionary Attack (Recommended): If you can’t remember anything about the RAR file password, please choose this option and then click the Dictionary tab and make the corresponding settings. Brute-force with Mask Attack (Trying all Possible Combinations): If the above two methods fail, you can resort to this option. At last, please click the Start button in the tool bar on top of the user interface to start to recover the RAR password. 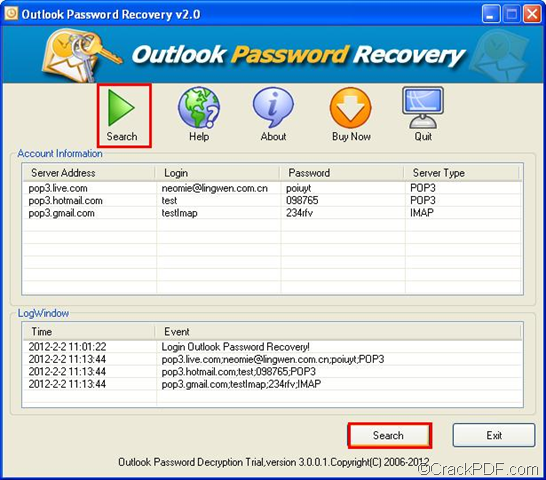 This is the end of this article and you can click the following button to free download RAR Password Recovery.